It's always a great night when the biggest faces in Bollywood come together, isn't it? While these nights include mostly movie success bashes and celebrity weddings, last night wasn't either of the above. 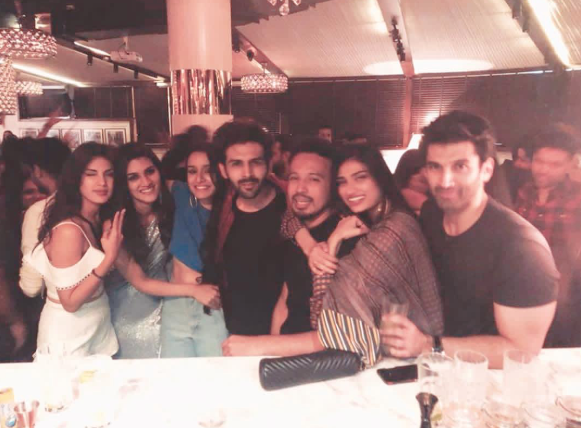 The occasion to be at yesterday was Bollywood producer and director, Dinesh Vijan and Kriti Sanon's birthday celebrations. Seems like it would be one of those low-key nights, right? Wrong! We were just as surprised. B-town's who's who stepped out for a good time in Mumbai and boy, was everyone from the industry there. 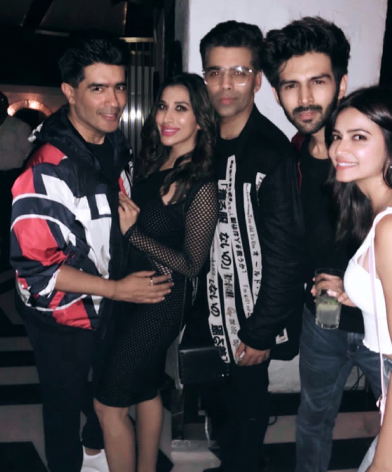 We spotted Varun Dhawan and Natasha Dalal, Kriti Kharbanda, Shraddha Kapoor, Sushant Singh Rajput, Manish Malhotra... wait, just see for yourself. While this isn't even the half of it, the actress who we caught our attention was Athiya Shetty. The Mubarakan starlet showed up in the most interesting outfit of the night. 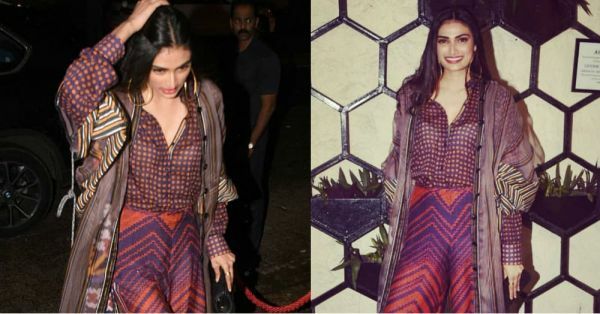 Athiya was wearing an urban-bohemian layered ensemble. 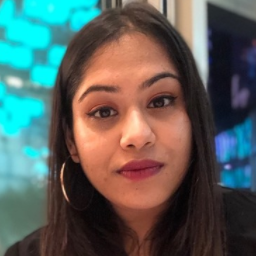 Her look consisted of a check-print silk shirt, with chevron print wide-legged pants and a sheer oversized kimono with striped panels and Ikat print too. 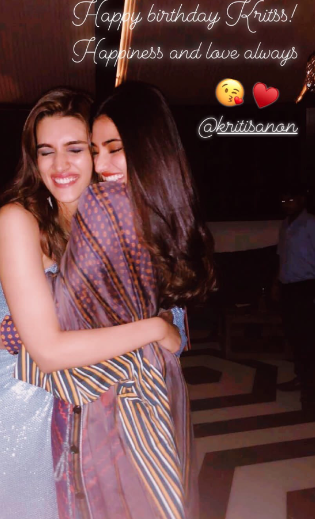 Get a better look at the stripe print panels on her kimono in this Insta-story Athiya shared for Kriti's birthday! So, that is 4 different prints - checks, chevron, stripes and Ikat - and we gotta say, Athiya, you nailed print-on-print (on print?) like a true boss. Special mention to the colour scheme that hit it right out of the park - purple, peach and orange. Miss Shetty got it right down to the last detail. Her giant gold hoops went brilliantly with the retro vibe outfit and she kept her footwear low-key with slim-strap black heels. We're dying to know who styled her so we can proceed to stealing this chic birthday guest look, aren't you?